Let's see the finishlines at your club/team races. Anyone got any pictures? My group promotes grassroots racing in Eastern Washington. I want to take a step beyond the standard of duct tape and two cones that is so common at amateur bike race finishlines. I don't want to see copied images of the finishes of the Pro-Tour, or Tour of Cali...We aren't Medalist Sports with a $30K+ budget just for the finishline. What I would like to see is something in between the two extremes. Do you use scaffolding, banners, barricades, fencing, or what? For me the best was two strips of black duct tape, one strip of white. Maybe it was 2 strips black, 1 strip white, then 2 strips black. This is for a low buck promoter. Yeah, I like the look of 2-3 strips too. For modern cameras it really doesn't make a difference, but I still like the thicker look. What about scaffolding, fencing, and banners? Anyone? Someone offered me that stuff. I declined. I'm too grassroots; I don't take myself that seriously. Oh and I don't use the two cones, just the tape. Sometimes you NEED more than just tape though... like if the finish line is on or just over the crest of a hill and riders can't see the tape till they are just about on it. Interesting point. I've never thought about being "too grassroots" to move to a more elaborate finishline. My thought was that racers will enjoy finishing at a cool finishline. I'm just brainstorming here, but I was thinking about adding music and a PA system as well (even for road races) to make the atmosphere more festive. You could be right though; racers might enjoy "grass roots" too. Who knows. The inflatable arch might be a little over the top, so to speak. It would be hard to use on a course that wasn't completely closed to traffic. 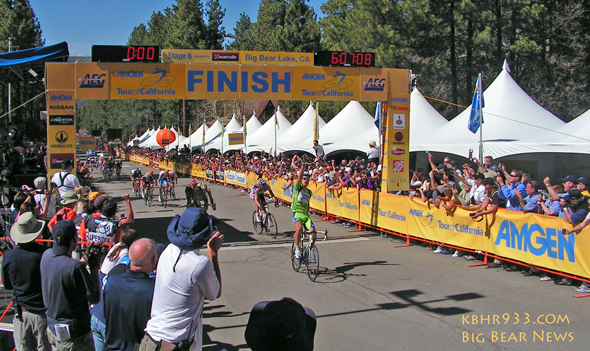 Here's the finish line for my team's road race, crit finish is the same as well. As a racer, its a cool finish. The police hold off cars a ways out from both sides when racers are coming through. Frankie Andreu announces for us, which makes it even better. The more elaborate you get, means a lot more time setting up and tearing down too. Thanks Brian, looks good. Do you know if that section of the road is open to traffic during the race? There could be issues with a tall truck or farm equipment going under the overhead truss. We have access to a beam like that, but I don't think the county would let us put it up if the course was open to traffic. Of course, crits on a closed course would be a different story. Last edited by Mtn Mike; 11-25-11 at 08:36 AM. Yep, the road is open. There are intersections about an 1/8th mile from each side where traffic was held up. There isn't too much traffic since its right on the edge of a really small town, no farm equipment in this area, mostly locals and tourists. That's Bethel. It's not a problem because the officials tent is next to the line and you can see the tent from the base of the hill. Seems like the ROI is not there, unless you have money to blow.. 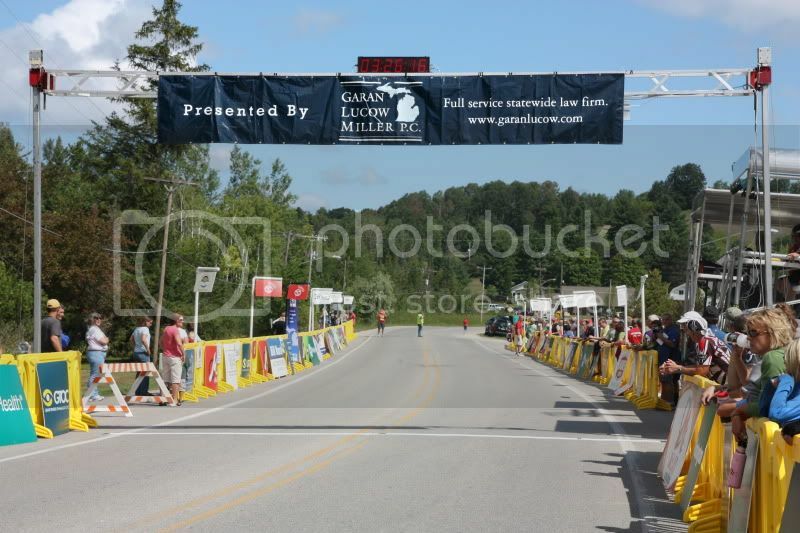 But I think the best finish lines are the ones that have big crowds around them, I don't care as much about banners/etc. Inflatable arches seem like a recipe for disaster; deflation, wind, etc, etc. The nice part is that the race announcer, Ralph Elliot, brings all the rigging and helps you set it up. All you need to provide for him is the banner. If you go with a banner: Bigger is better. Our 2010 banner was about 1/3 this size and looked pathetic hanging up there all alone. We thought about getting the inflateable arch but decided against it for the same reasons mattm mentioned previously. Cool, thanks for the input everyone. 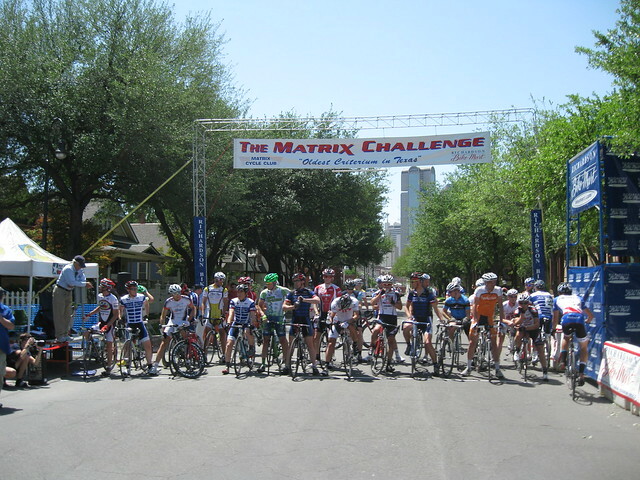 here's the Matrix Crit in Dallas. TXBRA Cup event, large ish budget, top notch event all around. My problem with banners / overheads is that they always end up restricting the width of the finish. As a racer, I'd rather have more real estate. a TXBRA cup road race - the white tent is at the finish line, camera / line is on the near side. This looks a lot like our finishes. The line of cones is a nice touch, but would take a long time to set up for what they are. I know what you're saying about banners restricting with width. Another problem with restricting with width is that big trucks and farm equipment might take the whole thing out. We race in farm county and need to worry about those things. Here are a few pictures of our finishes for reference. 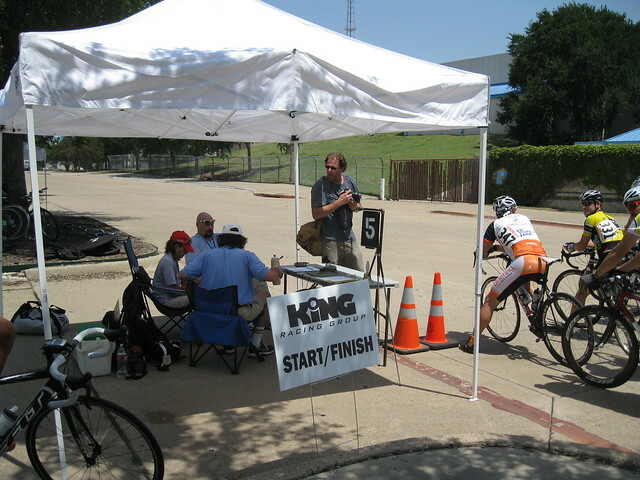 Here's a bad picture of the finishline at one of our crits. 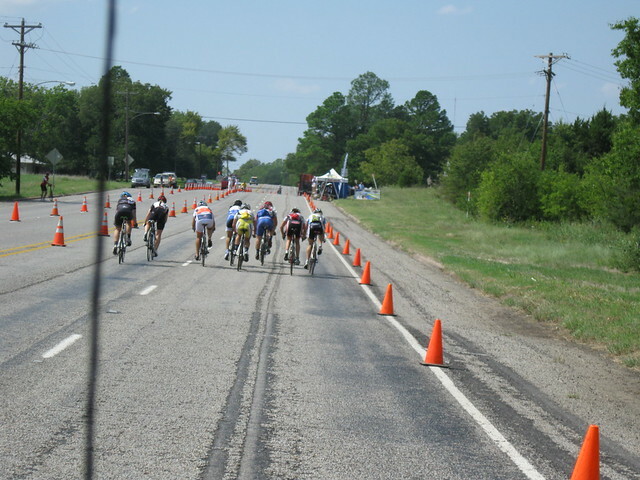 And here's a bad picture of one of our road race finishes. They aren't finishing here, only coming through on the first lap. My buddy and teammate was the last one to successfully get through there when it collapsed in a prime lap at Alsatian last year. The guy right behind him wasn't so fortunate; I understand he did an endo as the front of his bike was caught by the banner. Incidentally- We're really looking forward to coming back next year; ya'll do a fantastic job promoting. After rereading my post, I should clarify, WR, I meant that with all sincerity. On second read, it sounded like I was being sarcastic.